Sorry Fidel, you have to start throwing away your Silvio Rodriguez records. 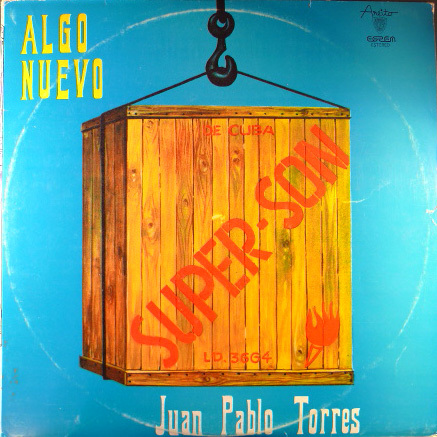 I think Cuban trombonist, composer, and arranger Juan Pablo Torres hasn’t given you anything as funky as this. 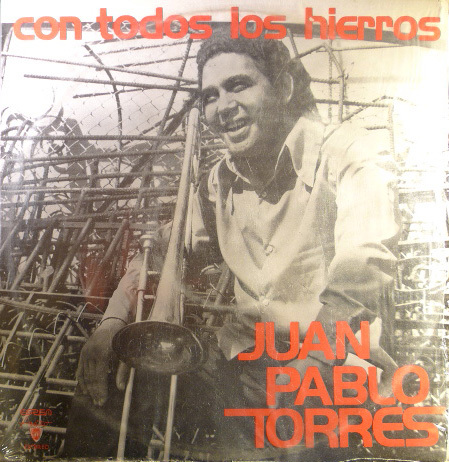 Born in Puerto Padre Cuba in 1942, the late Juan Pablo was considered one of the most important Latin music trombonist of his era. Having record with some of the biggest names in Latin music: from Tito Puente to Eddie Palmeri to name a few. He defected to the US in 1992, and like most Cubans, ended up in Florida. Although most of his praise seems to come from that era, these two records from 70’s cuba are worth taking a look at. Great experimental mix of Latin jazz, funk, salsa/son and great analogue synth work thrown in for good measure. Both albums are on the Areito label (which is really Egrem,the Cuban state recording company). I wonder if the vanguard party was upset. These records are just as hard to get a hold of as a box of Cuban cigars. But I’m sure you can find them on Ebay from a Mexican seller. I put up a photo of both side’s of the LP. The album quality is pretty good, but I’m loving the really janky Cuban graphic designs. Side note, the second tune Aji Guaguaois a spicy Cuban dish. My ex-girlfriend was from Cuba and she always asked me why I didn’t put any Cuban music on my site. So with that I give you Juan Pablo’s take on El Manisero (the peanut vendor) unarguably one of the most famous Cuban songs ever. I personally don’t like it, but I think Torres’ version is the dopest I’ve heard. The song started a global rumba craze in the 40’s and put Cuba on the map musically. Every Cuban that was ever in a band has played this song. This album also contains the song Rompe Cocorioco which Soul Jazz Records put out on a comp. 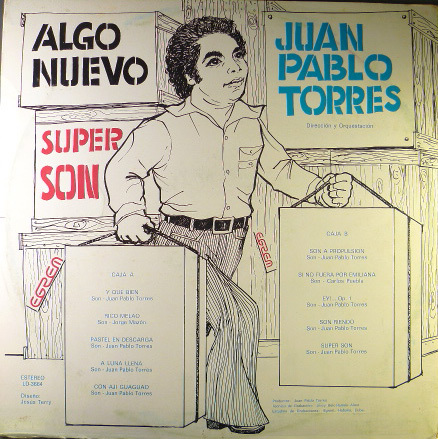 Meant to write in earlier to say this is a great post; I’m a huge fan of the “Algo Nuevo” LP and had been curious to hear what “Con Todos Los Hierros” sounded like. Yeah “Algo Nuevo” is in my opinion the better of the two. Lot more experimental. But “Con Todos” does have the funky Rompe Cocorioco number on it. Eitherway, I love what Juan Pablo does to the traditional son. I’m really feeling the slower, mellow, funky tempo in the albums. The music is a lot more minimal compared to the sounds of Los Van Van and Irakere which seem a bit more over orquestraded at times. But its all really awesome stuff to me. I too agree that Algo Nuevo is his best album. “Pastel en Descarga” is another solid one from that LP. Just got it last week and I can’t stop playing it!